Ottica San Maurilio with its 30 years of activity is an historical shop with the craftmanship touch of a real workshop. 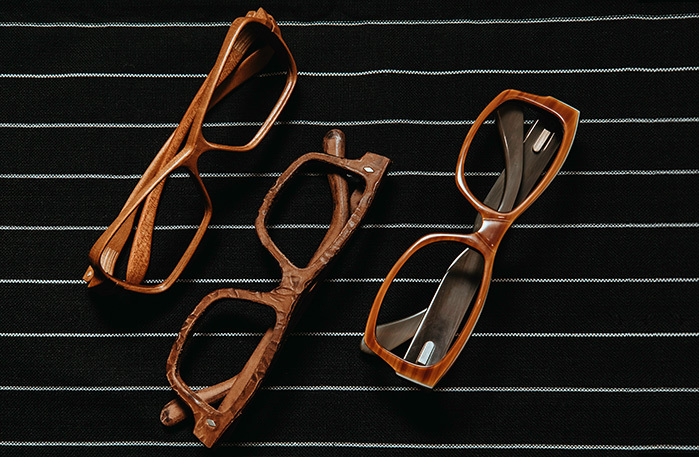 The shop is a real reference point for those searching high quality design glasses and polished frames with a unique shapes suitable to enhance every kind of face and personality. Attention to detail, wise craftsmanship, quality and elegance: these are the cornerstones of our reality! The choice of the frame of a pair of glasses is of fundamental importance in order to express your own personality and enhance the strengths of your features. 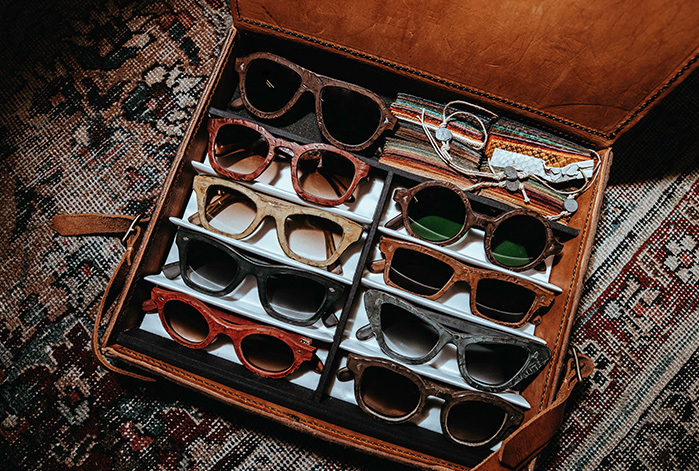 Ottica San Maurilio provides the customer with tailored advices and the opportunity to have an entirely made-to-measure product with the most original and refined materials: horn, acetate, leather and wood. 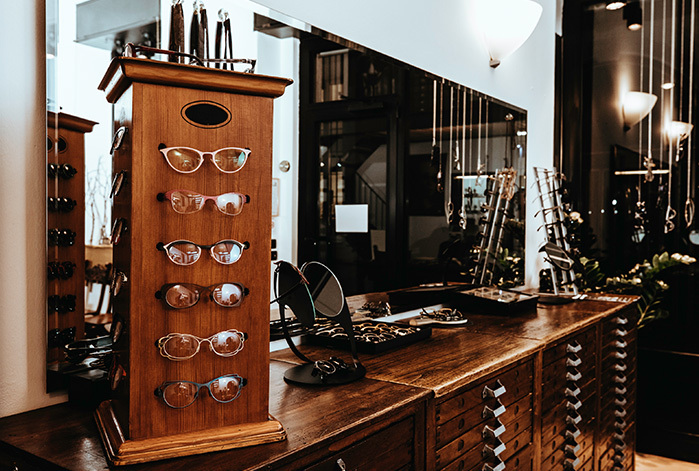 In addition to the frame you can choose custom prescription lenses for different needs (PC, driving or sports) and progressive lenses of the latest generation. 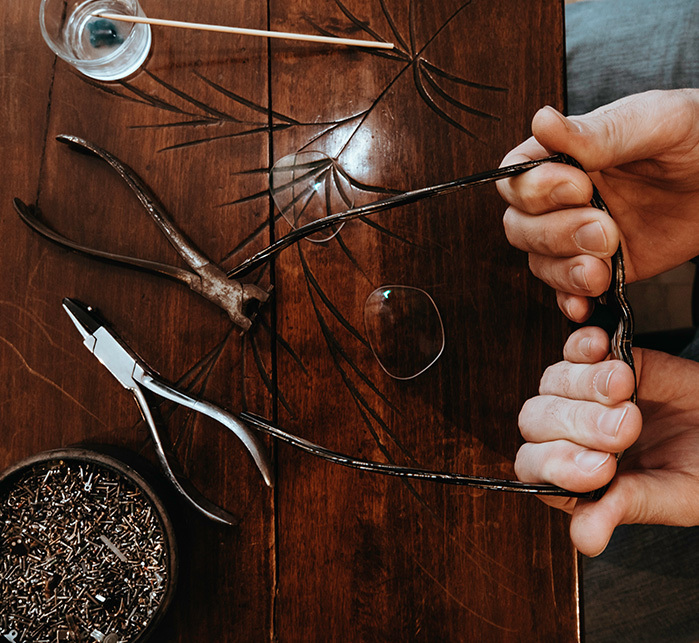 Is your precious eyewear damaged? No problem! 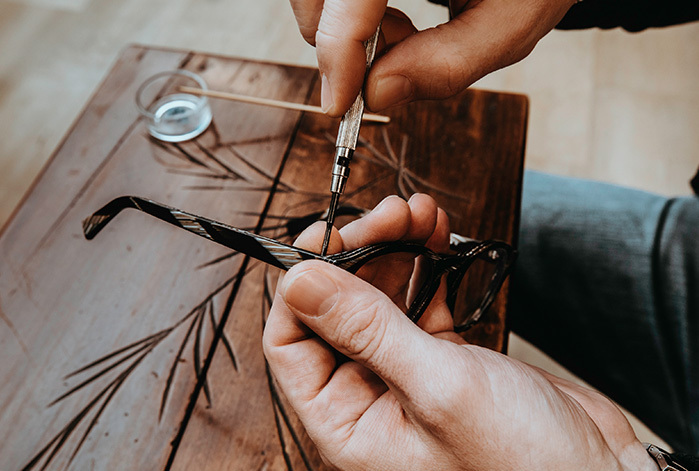 At Ottica San Maurilio you can count on a 360 ° service: we are specialized in repairing and assembling of glasses made of the most different materials: horn or real turtle and in all kinds of welding, even titanium. The anamnesis and the questions asked to solve customer’s needs for refraction are the basis of our work. 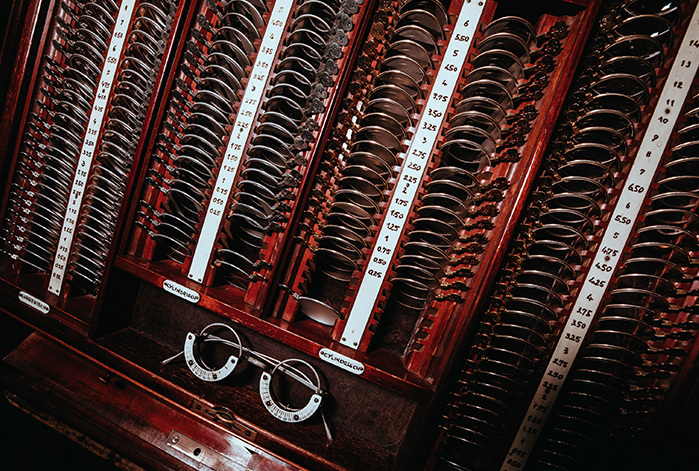 The cutting-edge equipment of an optometrist optician combined with a set of vintage test lenses gives life to a combination of past and future that makes Ottica San Maurilio a unique and special place. Anamnesis, equipment and experience are the right combination for an high quality service. As progressive lens specialists we offer a guarantee of adjustment that allows the customer to replace his lenses for free. We offer a worldwide shipping service with express courier delivery, also for non-European Tax Free customers.